Hallmark Channel and Hallmark Movies & Mysteries, the most watched cable networks during the holidays, celebrates this season with four all-new original movies arriving on DVD this November – just days after the television premiere – exclusively at Walmart, Sam’s Club and rental from Cinedigm (NASDAQ: CIDM). The features are part of Hallmark Channel’s incredibly popular “Countdown To Christmas” and Hallmark Movies & Mysteries “Most Wonderful Movies of Christmas,” which both run beginning October 31 through December. Nine Lives of Christmas follows Zachary Stone, a handsome fireman who falls in love with a stray cat, despite his fear of commitment he soon begins to see the joy in companionship when he meets a beautiful veterinary student who teaches him how to take care of his new feline friend. 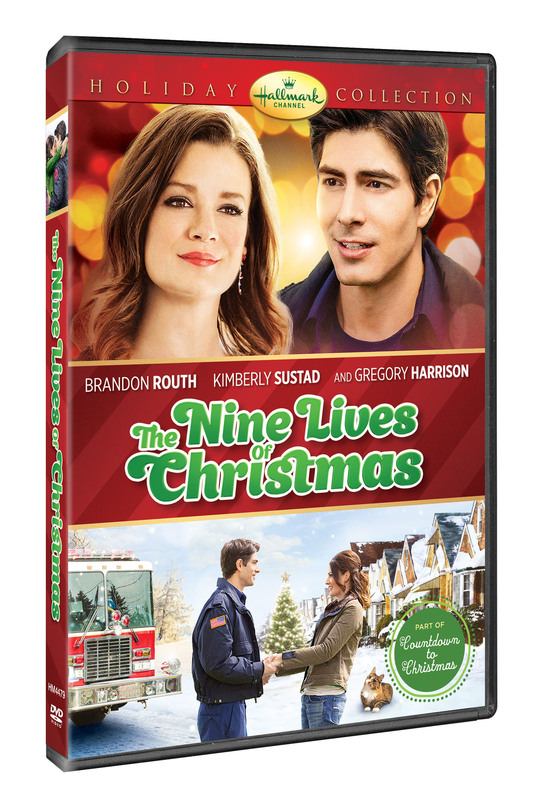 Starring Brandon Routh (Superman Returns), Kimberley Sustad (A Bride For Christmas), Stephanie Bennett (“Signed, Sealed, Delivered”), Chelsea Hobbs (Make It or Break It) and Gregory Harrison (“One Tree Hill”), Nine Lives of Christmas premieres on Hallmark Channel November 8 and be available on DVD and Digital HD November 11. A Cookie Cutter Christmas, starring Erin Krakow (“When Calls the Heart”), David Haydn-Jones (The Last Kiss) and Alan Thicke (“Growing Pains”), two teachers turned rivals compete in a heated holiday bake-off where they also find themselves competing for the affection of a new love interest. The entertaining and uplifting story about doing whatever it takes for love premieres on Hallmark Channel November 9 and be available on DVD and Digital HD November 11. 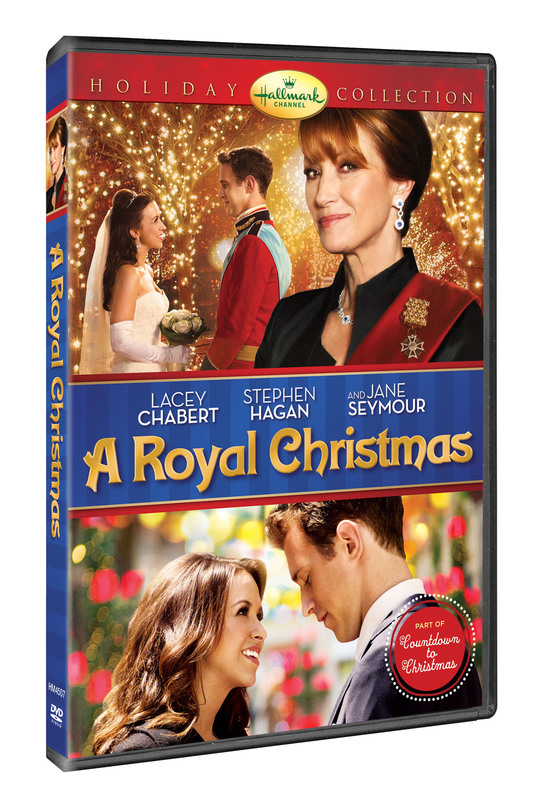 A Royal Christmas, starring Jane Seymour (“Dr. Quinn, Medicine Woman”) and Lacey Chabert (Mean Girls, “Party of Five”), tells the tale of a newly engaged woman who finds out her fiancé is a prince and his mother, the Queen, will stop at nothing to sabotage their marriage. Love prevails in the charming film, airing on Hallmark Channel November 22 and available on DVD and Digital HD November 25. Signed, Sealed, Delivered For Christmas, Created, executive produced and written by “Touched By An Angel” Executive Producer Martha Williamson, this holiday movie reunites Eric Mabius (“Ugly Betty”), Kristin Booth (“Orphan Black”), Crystal Lowe (“Smallville”) and Geoff Gustafson (“Primeval: New World”) for an emotional holiday story that follows the Postables working overtime to help a struggling family find hope on Christmas Eve, and in turn, the Postables themselves are changed forever. Special guest stars for the holiday movie are Marion Ross (“Happy Days”) and Rob Estes (“Melrose Place”). The drama premieres on Hallmark Movies & Mysteries November 23 and will be available on DVD and Digital HD November 25. Zachary is a handsome bachelor who enjoys the liberties of being single. When a stray cat adopts Zach as his owner, Zach falls in love with the little guy in spite of the fact that he wants to stay away from responsibility. His new pet brings him into contact with Merilee White, a beautiful woman who is Zach’s opposite. Through his new pet, Zach begins to see that being accountability-free isn’t as fulfilling as he thought and that the “wrong woman” might just be the perfect match. Leo and Emily have been dating for quite some time when he proposes, and during his proposal, he confesses that he is actually Prince Leopold and heir to the throne of a small sovereign country in Europe. Leo’s mother (Isadora, the Queen) finds out that he has proposed to an American commoner (without her blessing) and becomes outraged. In a series of events, she sabotages their courtship and does everything in her power to drive the couple apart. But will she succeed? With a duty to deliver every last letter before Christmas, the beloved quartet of post office detectives—Oliver, Shane, Rita and Norman —are working around the clock to redirect Santa’s mail. They attempt to pull off a last minute delivery that will teach them all about the joy of the holidays, and the gift of a family’s love.